The fifth video in the documentary series Golf and All Its Glory, Vol. 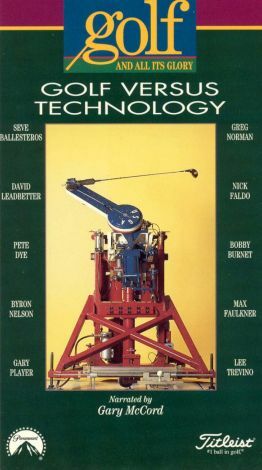 5: Golf versus Technology focuses on the tools of the game and how golf equipment has evolved through the years. Archives from the Royal and Ancient Golf Club and the PGA Tour provide rare glimpses into golf's glory days gone by, and interviews with well-known pros like Greg Norman, Jack Nicklaus, and Arnold Palmer make this a unique addition to any golf lover's video collection. The video is available individually or as part of a complete gift set.